Period : 09.00- 17.30 hrs. Visit Bamboo Island First island met Koh Mai Phi also called Bamboo island (Great Palette of colors here) for snorkelling 30-45 minutes from the boat. 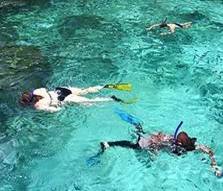 Visit Tonsai Bay Snorkelling will be inside to bay at Ton Sai stop for lunch. at restaurant where a Thai lunch will be served. 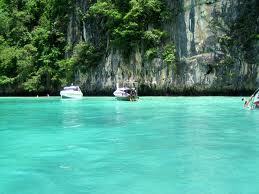 Afterwards, free time to spored to walk along the streets of this village or to sunbath on the beach. 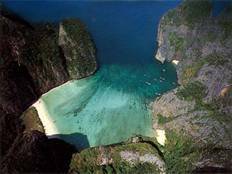 Visit Pileh & Lohsamah Bay Discover Loh Sa Mah and Phi Phi Lay cove. 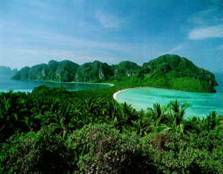 Ao Pileh is very nearly enclosed by the limestone walls of the island's cliffs, so that the water appears almost to be an island sea. 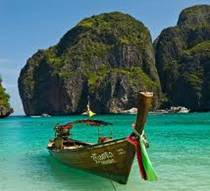 NOTE: The itinerary can be changed depend on the weather and sea condition.